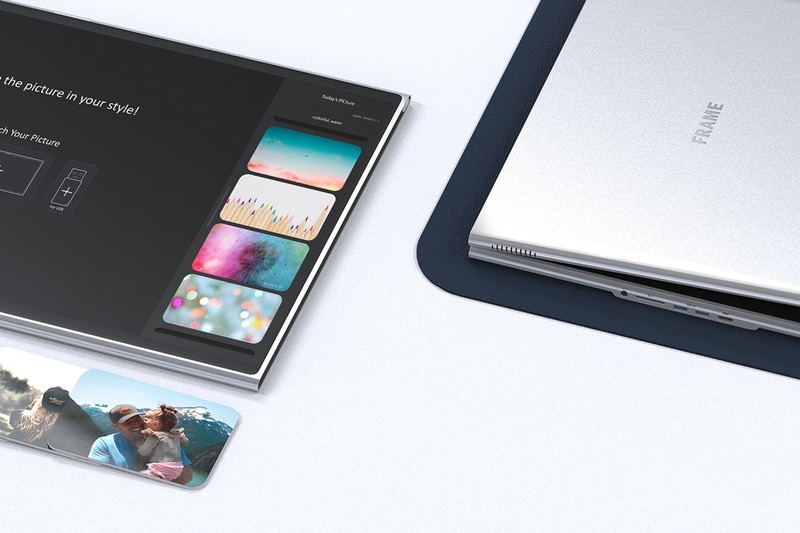 How about an all-in-one device that can be used as a laptop, desktop or digital picture frame? Meet FRAME. 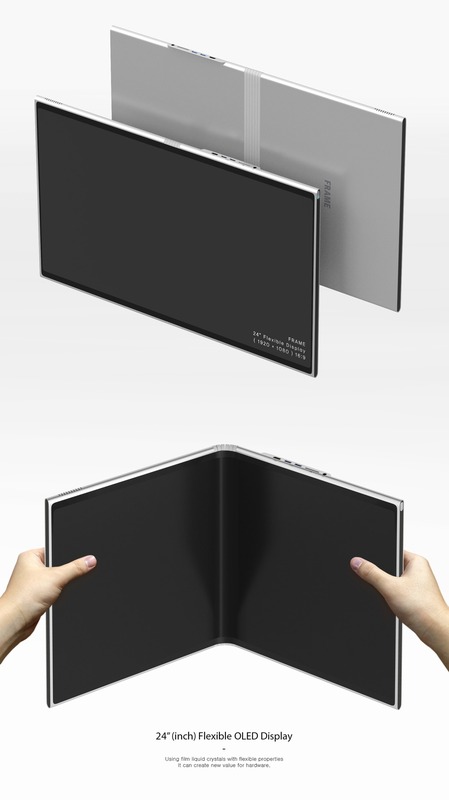 If you’re not familiar with this technology, OLED displays can be manufactured on flexible plastic substrates, which leads to the possibility of fabrication of flexible organic light-emitting diodes for other new applications, such as roll-up displays embedded in fabrics or clothing. If a substrate like polyethylene terephthalate (PET) is used, they may be produced inexpensively, while still maintaining their durability, as plastic substrates are shatter-resistant, unlike the glass displays used in LCD devices. Read more for additional pictures and information. 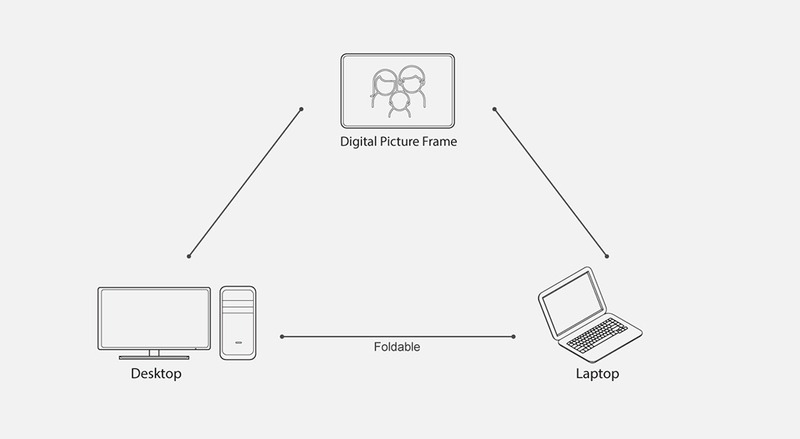 “FRAME takes on three distinct forms, each offering a solution to a unique and vastly different requirement. 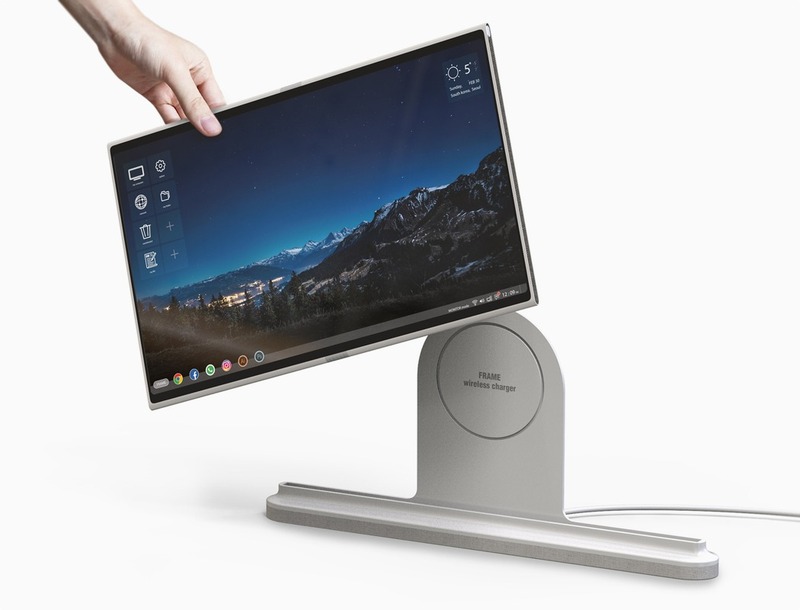 Its go-to form is that of a digital picture frame; the 24” flexible OLED screen beautifully displays images and allows memories to be recalled. 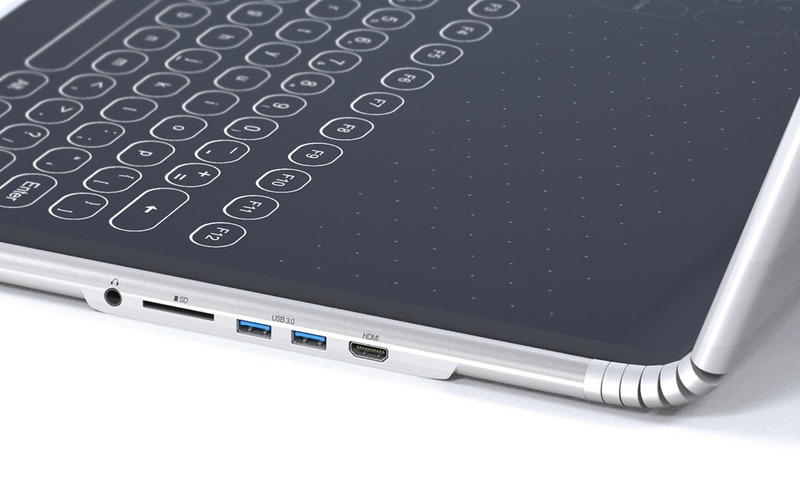 However, the potential of the flexible display really comes into its own when it is transformed into Laptop Mode; the central hinge provides a clean bend, as the interface transitions into an on-screen keyboard and monitor. 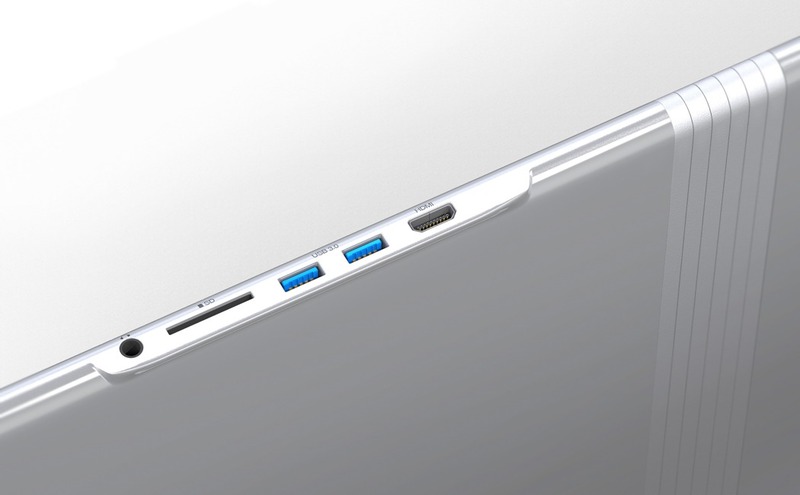 Its final form answers the need for a desktop,” according to Yanko Design.